This next Tuesday, we’ll be starting a “Ladies’ Lunch Break” at our church. 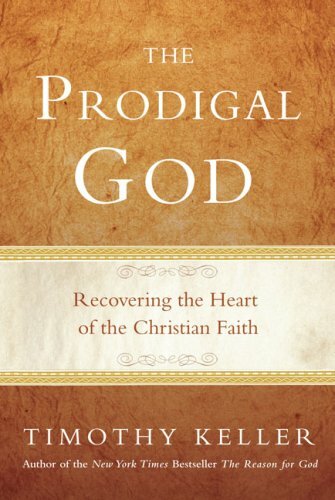 Together, we’ll be going through the video curriculum series that follows the book, The Prodigal God by Tim Keller. I had the opportunity to read this book a couple of weeks ago, and it truly challenged me. Keller takes the Parable of the Lost Son and shows how Jesus used the story to challenge people on their religious moralism. OUCH. If you’re in the area, I sincerely hope that we’ll see you there for lunch! Tuesday, October 5th, 12:00pm, WHBC fellowship hall. Study materials and lunch will be provided. You don’t want to miss it! I love reading your book reviews. I've gotten some great books to add to my reading list from here! I was wondering, have you ever read Randy Alcorn's “If God is Good…”?? If so, what are your thoughts? I haven't read anything by Randy Alcorn, but I've heard a couple of interviews he's given. Did you like “If God is Good…”?